Create an account and track your attendance throughout the season! RSVP for each event in advance and receive one bonus point when you check-in at the event! Attend the event and receive one point towards the grand prize! Tons of great Oilers prizes are awarded each event. 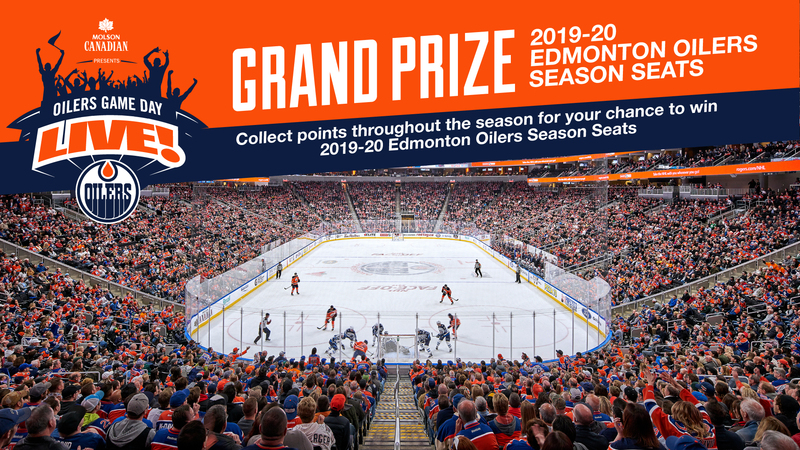 Collect points throughout the season for your chance to win 2018-19 Edmonton Oilers Season Seats. 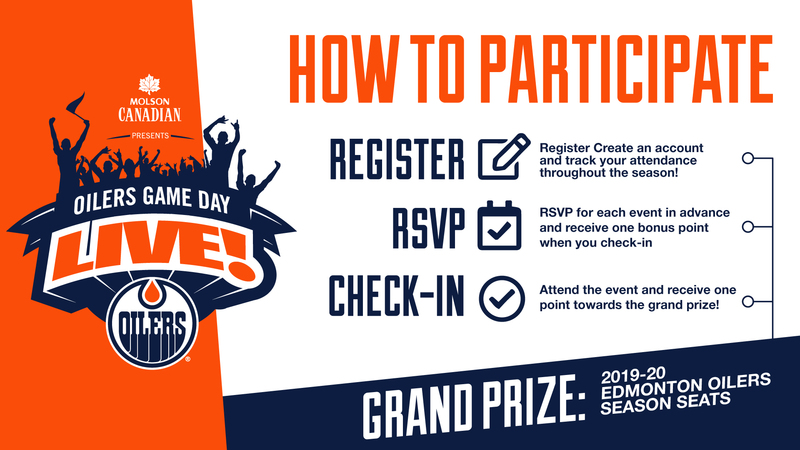 The 20 attendees with the most points at the end of the season will compete at the Oilers Game Day Live Finale on March 31 for a chance to win the grand prize. Attend Flight Nights throughout the season for your chance to win a trip for two to watch the Oilers play on the road this season. 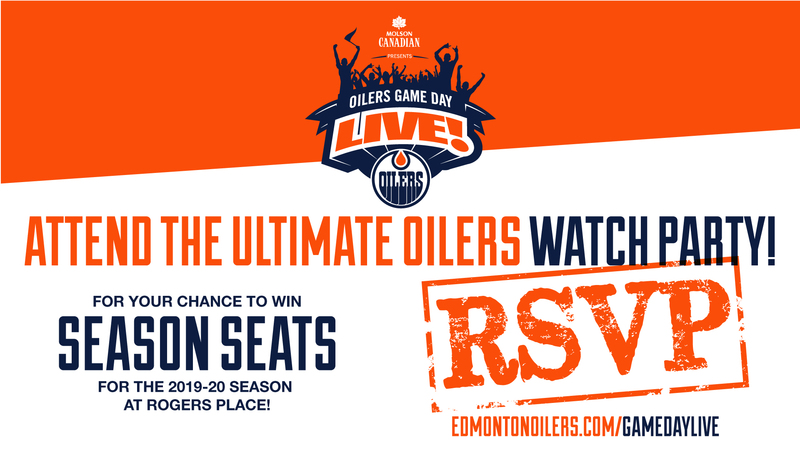 RSVP in advance to receive an appetizer and Molson Canadian product courtesy of Oilers Entertainment Group. One trip for two will be awarded at each Flight Night this season – so keep coming back for your chance to win.